Congratulations, you have successfully signed up to the Sport Industry Daily newsletter. The service is available on Facebook Messenger, Slack, Skype and Telegram. It offers supporters “unique and personalised access” to the club, delivering news, results, videos, player stats and ticketing information via instant, real-time messages. 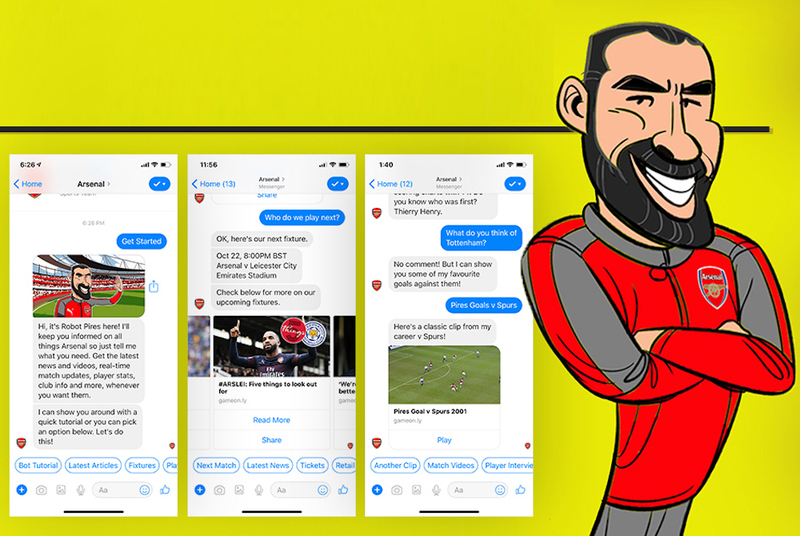 Arsenal has worked with AI chat application platform GameOn to create the tool, which responds to natural language requests. GameOn founder Alex Beckman told arsenal.com: "We’re delighted to be working with Arsenal. "As the way fans engage with teams evolves, there are more exciting and dynamic ways we can craft chatbots. Chatbots are a great way for clubs to evolve their platforms for speaking to fans, and we're excited to work with Arsenal to help bring shape to the category." Tom Hines, senior content manager for Arsenal, added: “We're constantly looking at ways to bring fans content that makes their matchday experience even more entertaining. "Working with GameOn to craft the bot is the next step in us developing a hub for fans that houses the answers to all of their questions – that feels intuitively part of the Arsenal voice and experience. Fans feel a personal connection to Arsenal, and AI is more important than ever for us to give fans a personalised experience." Last month, organisers of the Invictus Games, currently taking place in Sydney, revealed a first-of-its-kind chat bot for fans and visitors to the event. Sign up today for the latest news in one daily email, plus occasional event updates, direct to your inbox.